Salming?? What brand is that? That's my first reaction when I first heard about the brand name some time back but who am I to blame for being ignorance except for myself. Salming is a sports brand from Sweden and was founded in 2001 originates from the legendary Swedish ice-hockey player name Borje Salming. Ice-hockey? no way!!! Well, although the founder is a legendary ice-hockey player, but the product carry today has nothing to do with ice-hockey but rather focused on Squash and Running products. 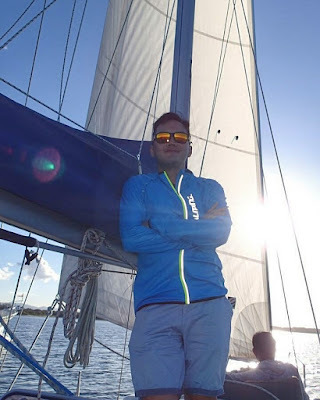 The brand is not yet established or known by many in this market, but there do have a good range of products with the tag line of "No-Nonsense" and it is an established brand in parts of Europe and even in the United States. I have no prior experience to any of Salming's shoe but on the onset the shoe looks to be fast and have a low stack height (visually). 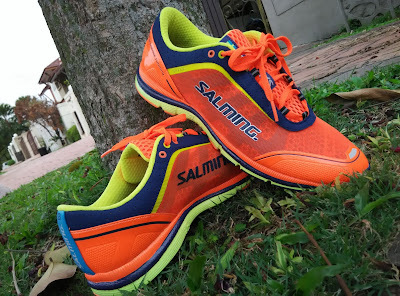 Oh well, it was made to be a fast race shoe with a 5mm (16mm/21mm) heel-to-toe drop and comes in bright orange eye-catching colorway, even a cow can see me from afar. When I first put it on, immediately it felt comfortable with a solid platform to begin with, the light package weighing only 7.6 ounce on a US size 9 confirming it has all the right elements to be a good race shoes. The ride is smooth in general on both the short and long runs. With the low stack height, I was first worried that the shoe to be on the stiffer side and my legs will definitely stage a protest if I ran in it too much. 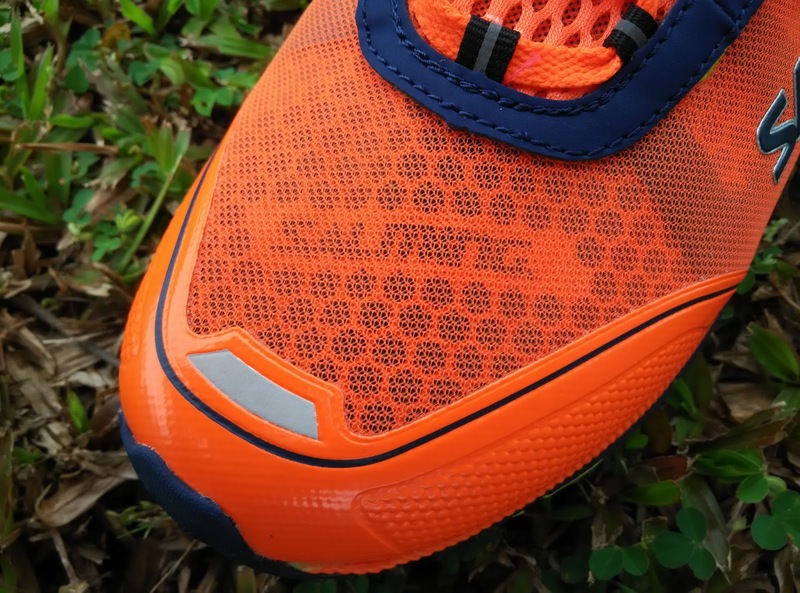 Surprisingly it is well cushioned, not too much but just the right balance to take the pounding away from the feet and yet retain the responsive elements on road running. The sole however is unique. let 's start with the midsole, it is molded using injected EVA form call RunLite. 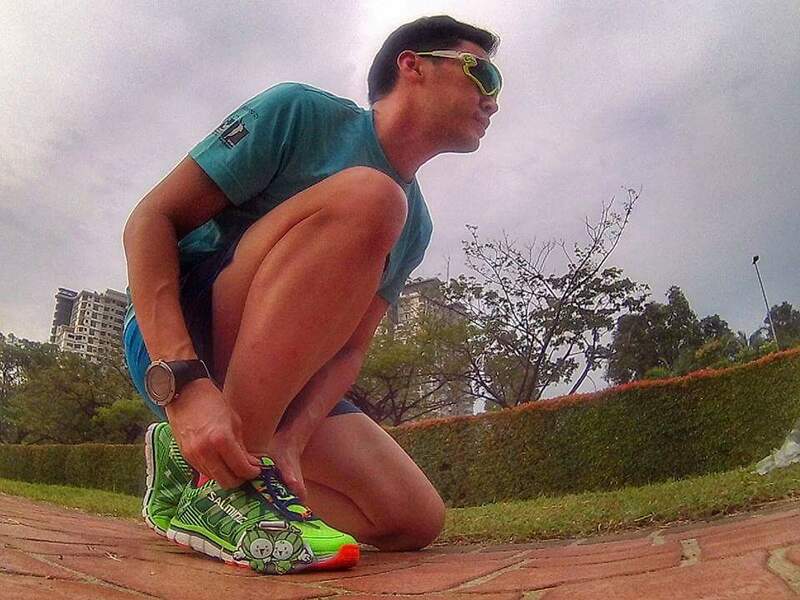 It blends the right amount of soft cushion without taking away the firm and responsive feel of a racing shoes. 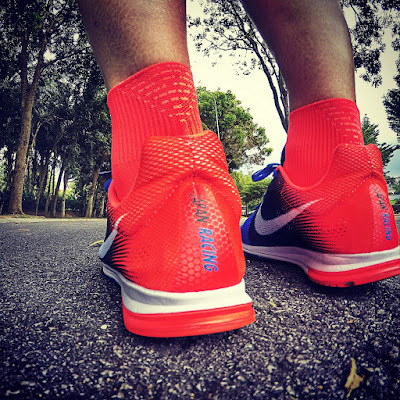 It gives the runner the all important fast and road feel but at the same time forgiving on the legs on a longer outing. On the outsole, it feels soft but the company put the harder LiteRubber at all the right places making it more durable at the common wear and tear area just like what other brands would do. 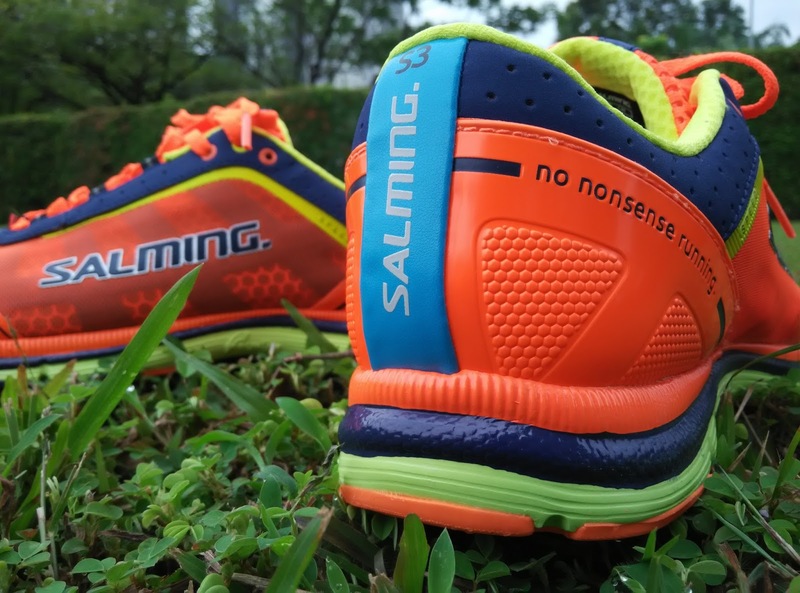 What caught my eye on the outsole was the word 62/75° somewhere at the midfoot section, now I have done a bit of googling for the unique feature here and Salming has come out with a pretty interesting philosophy here. 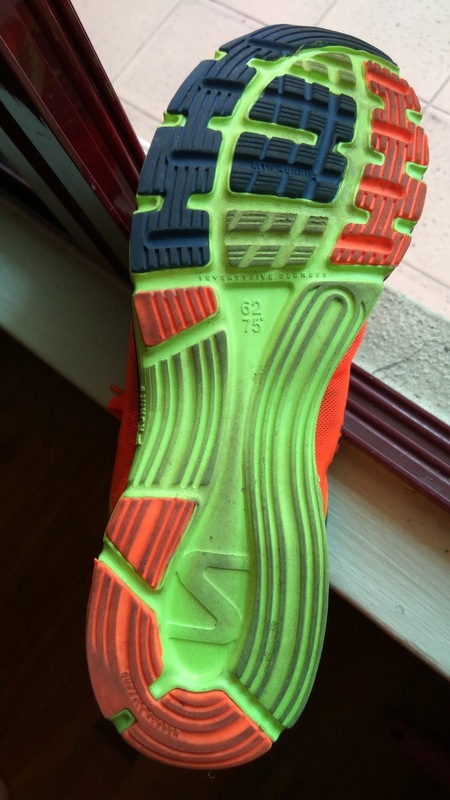 The bottom 62% of the shoe (midfoot to heel) offers a stability platform while beyond the midfoot belly line which was angled at 75° (forefoot) adding flexibility aiming to provide runners a much better toe off and turnaround which works pretty well for me. 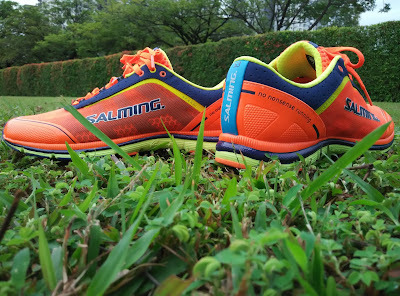 Salming Malaysia had brought in a good range of products. 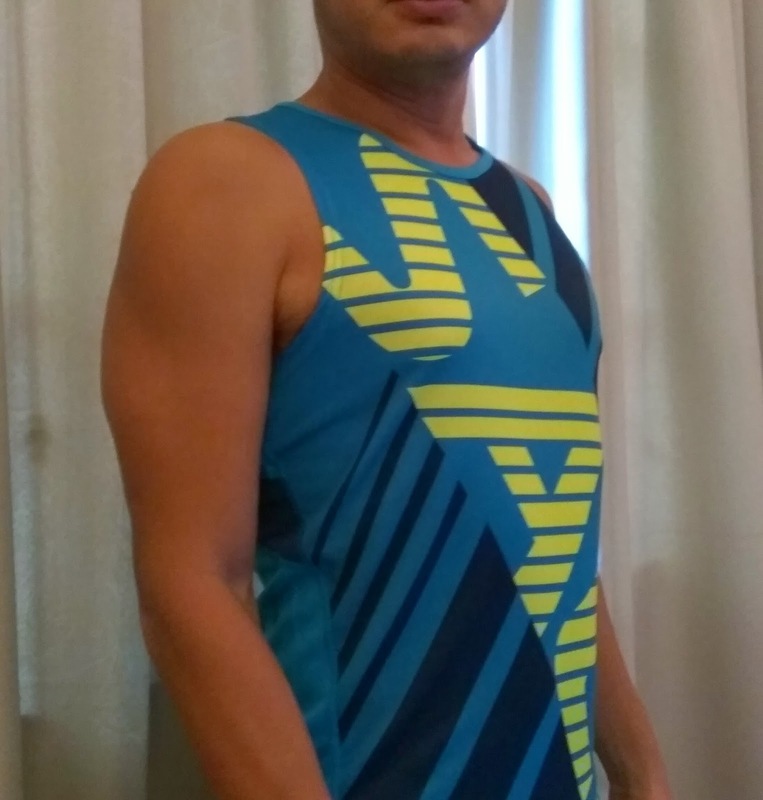 The apparel line is pretty interesting too, I had tried on their Salming Run Race Singlet, not the lightest race top out there but the slim fit cutting does add pluses to the look department, but if you prefer to the looser end just up size it from your normal sizing. I got some question! Does it reliable and budget friendly to all? is there any alternative of these sports products? How long lasting Best sports products ? Hope you response on these point. More over good job and keep it up.